This tray is perfect for organizing flatware and gadgets. It has separate comppartments for knives,forks,spoons and extra kitchen utensils. 1. 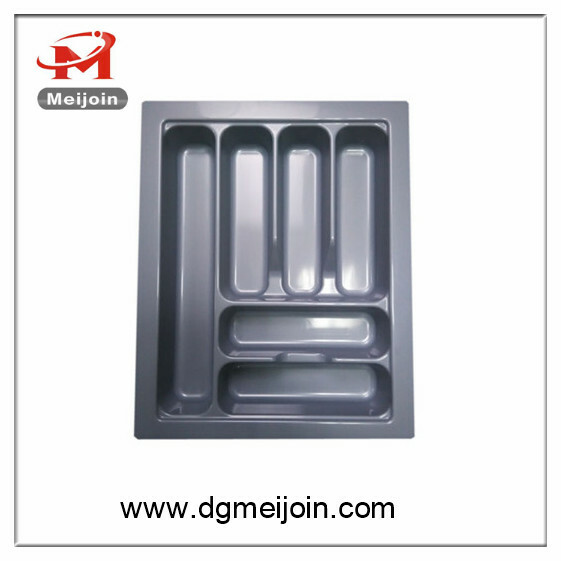 Made of ABS material , the plastic cutlery tray is safe and healthy. It’s non-toxic and odorless. 2. The hard texture make the product difficult to break and durable. 3. Our product has strong resistance to acid-base, oil,and various solvents. It is not easy be dyed. 4. With a bright and smooth surface, the product can be easily cleaned with any cleaning agent available in the market. 5. Featuring low thermal conductivity, our product can be still held comfortably when filled with hot items.